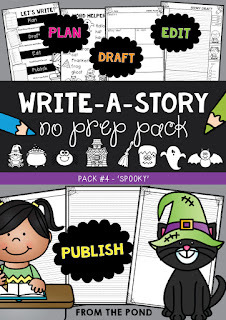 The latest edition of my WRITE-A-STORY series has a spooky theme! These handy little printable packets will give you all the pages you need for a week of writing! It is imperative that you allow enough quality time to model each stage of this writing process with your students. Essentially 'modelling' is where you pretend you are the learner and show the students how to do something - in this case - write. You will verbalise each thought you have and demonstrate the strategies you use to work through a task. The packet has a 'word helper' page that you can use to springboard your planning-stage 'brainstorm'. 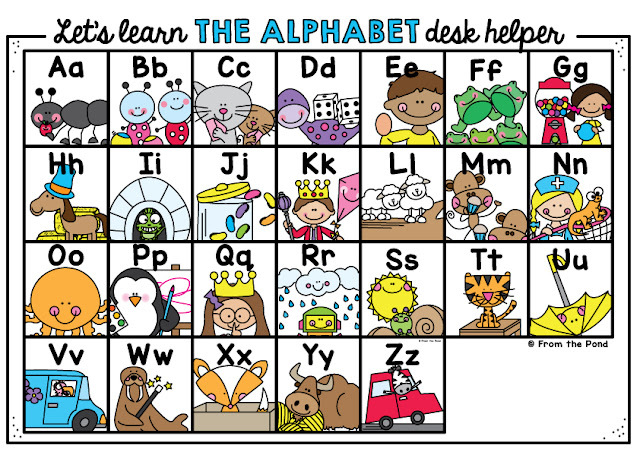 I highly encourage you to immerse your students in loads of pictures, charts and story books on the topic you are trying to encourage and give your students oodles of ideas and vocabulary before you ask them to brainstorm and plan. 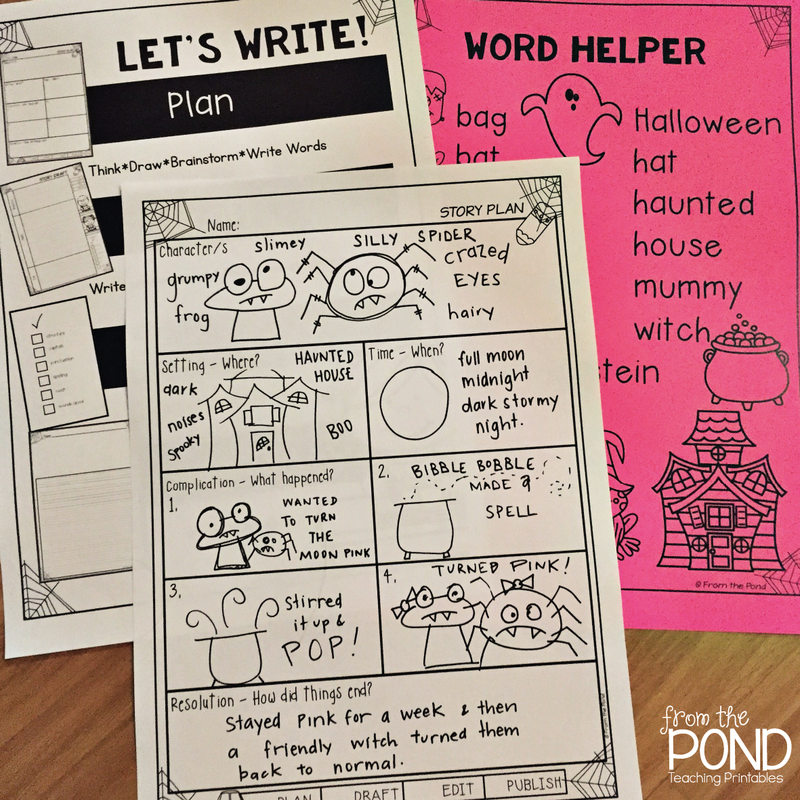 Once you have discussed, drawn and talked about lots of 'spooky ideas' (encourage chat between your students and the pooling of ideas), show them how to complete the planning page. There are NO RULES! Let them draw, doodle, write words, scratch out, change, edit etc. Have plenty of copies on hand in case they want to 'start again'. Remember, no author gets it correct from the beginning, so encourage change and editing as they go. Model the drafting phase when most of your students have finished their plan. One of the lined options I have provided has well spaced out lines, to allow for changes in sentences and spelling. Encourage the draft to be edited and re-written. Again, provided additional pages for longer writing. 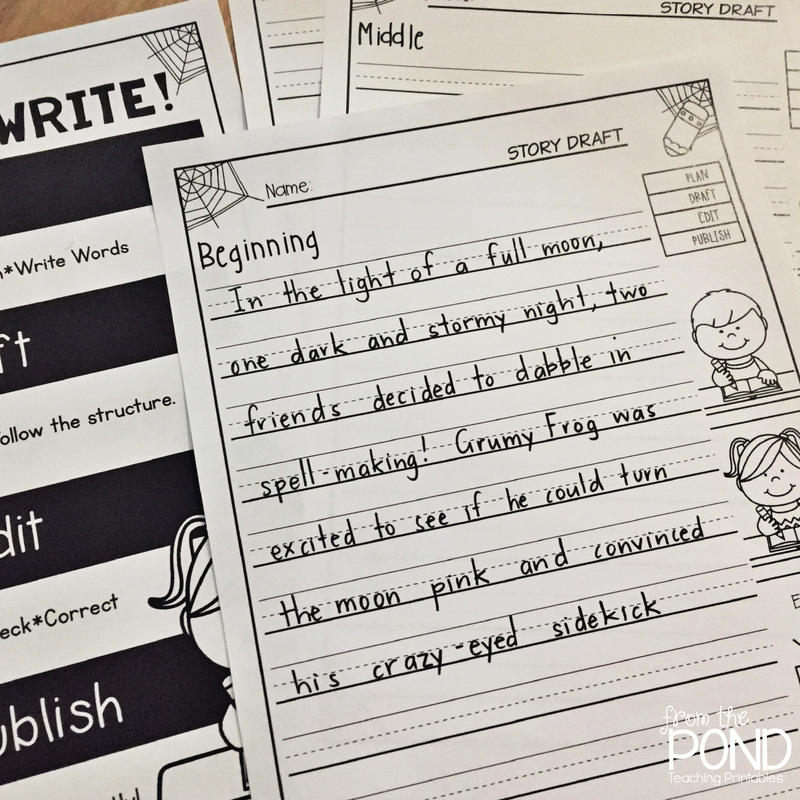 Once your students have edited, they can publish. 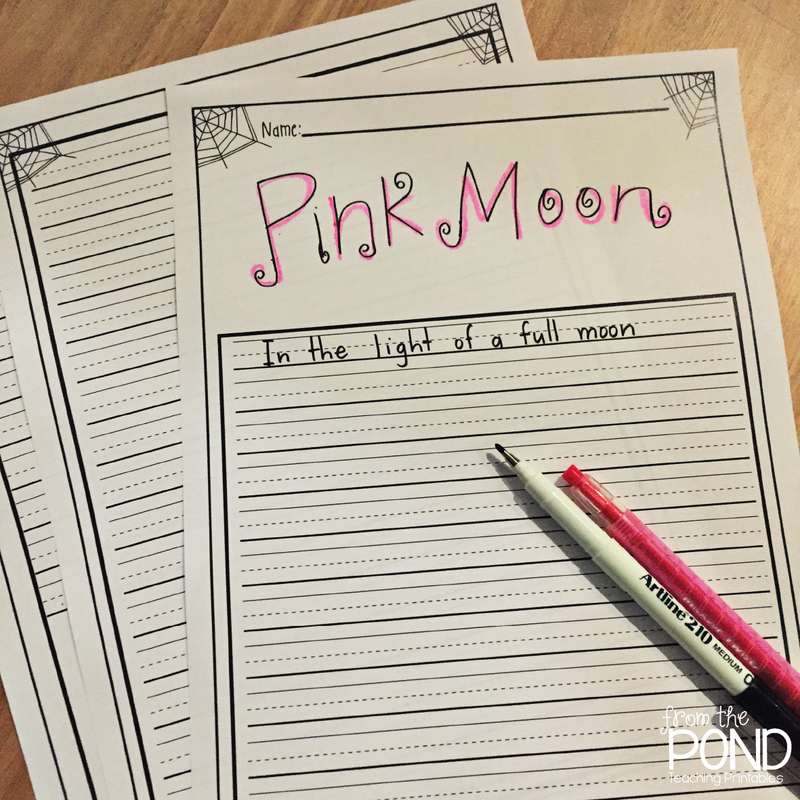 Show them how to do a fancy-lettered heading and write in their best handwriting. It is a lengthy procedure to model, but I assure you that it will pay off - your students will internalise the process and quickly start to produce better quality writing! Thanks so much for stopping by today, have a great week! It's Fri-yay! 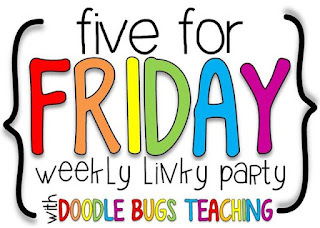 Time for Five-for-Friday! The best part of switching to 3rd grade this year has been finding literally millions of more things to make and explore! You-beauty! 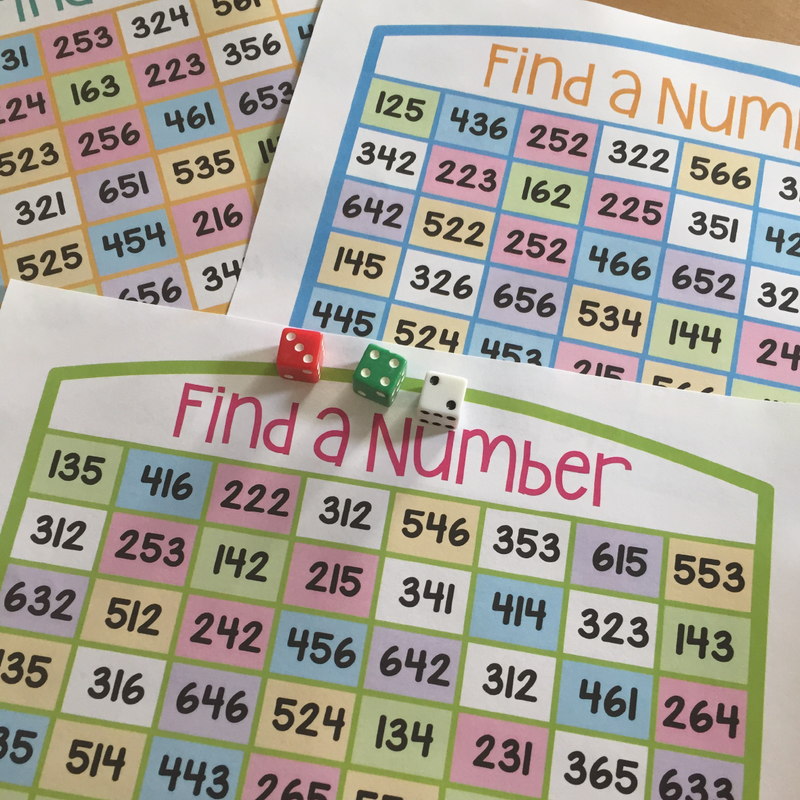 New game 'Find a Number' in my TpT collection for 3 digit numbers. 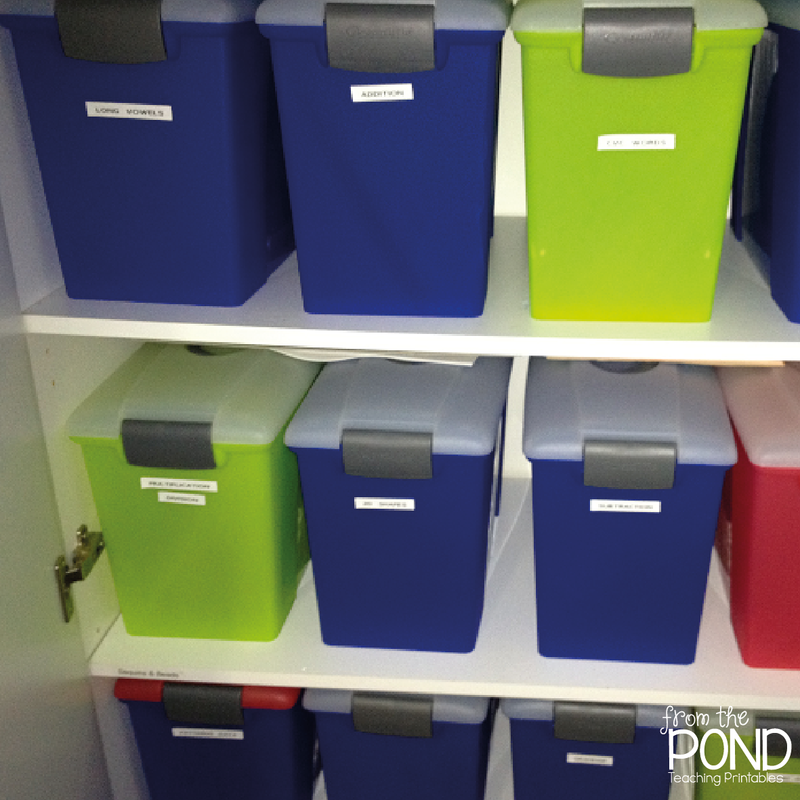 Another awesome result - I have a perfect excuse to buy more organisational boxes and spend glorious hours with my label maker. Thank you universe. Last weekend I went to a party to say Happy Birthday to a beautiful 5 year old boy! 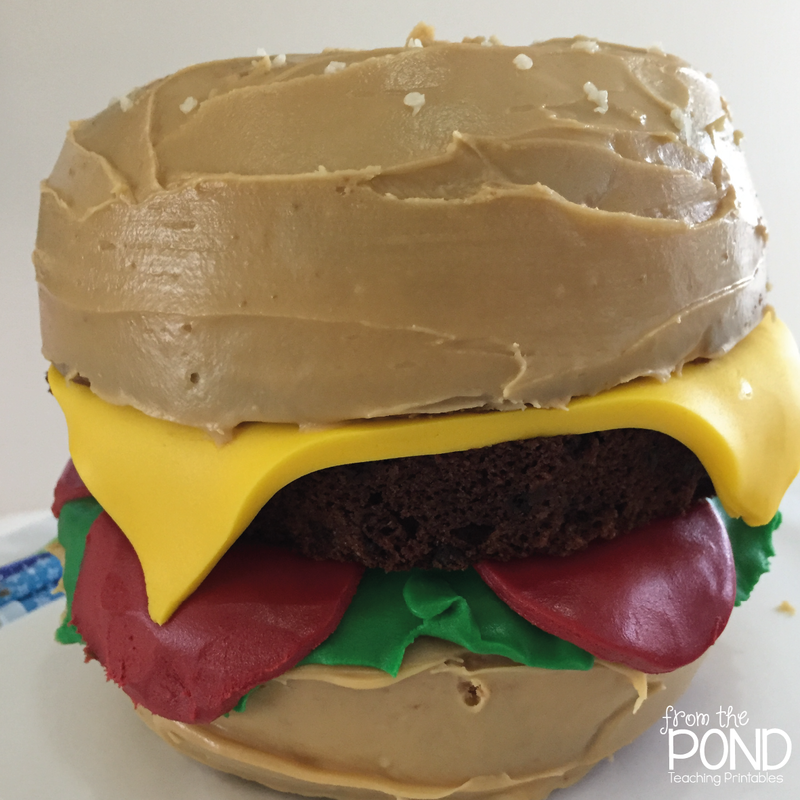 Here is his cake. How awesome is that?!? 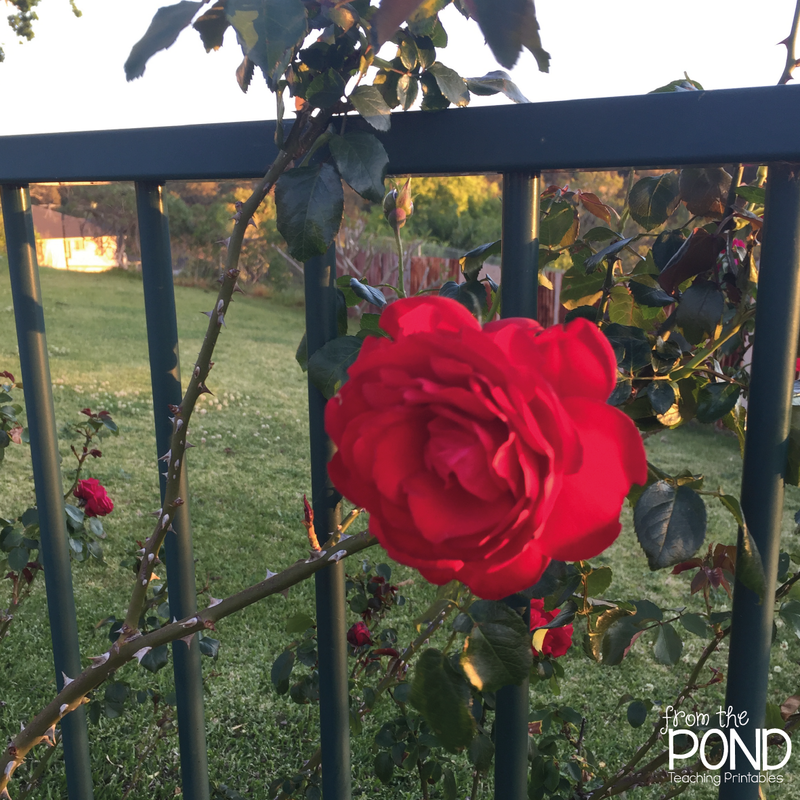 More flowers are blooming. Ah-ah-ah-choooooooo. Spring, I "LOVE" you. Got me like... Officially addicted. This set is 'Fine China'. Think I will make myself a darling little cup of tea to match. Thanks so much for stopping by sweet friends, see you soon! 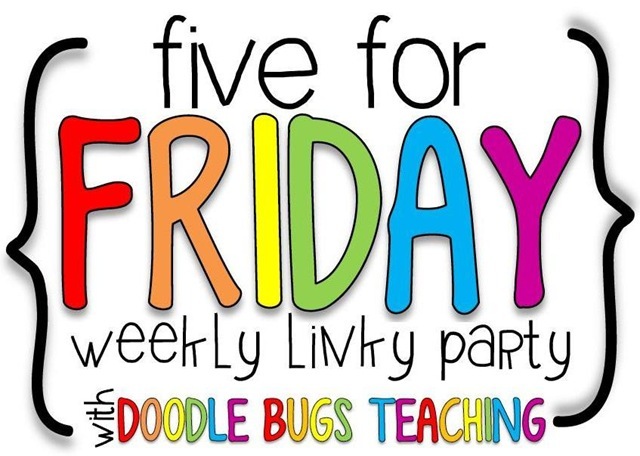 Hop on over to Kacey's blog for 5 for Friday! My sweet little man wanted to go to Kmart this afternoon. How did I not see this coming?! Who was I to deny such a delightful way to spend an hour or so? We found these awesome jumbo playing cards. Heeeeeeeello teacher-treasure! 2. Flip and say the number that comes after the card number. 3. Flip and say the number that comes before the card number. 4. Flip and add 1, 2 or 3 to the card number. 5. Flip and subtract 1, 2 or 3 (if possible) from the card number. 6. Flip and double the card number. 2. Flip and count to the number and one more. 3. Flip and count to the number and two more. 4. Flip and count from the number shown to 10. 4. Flip and count from the number shown to 20. 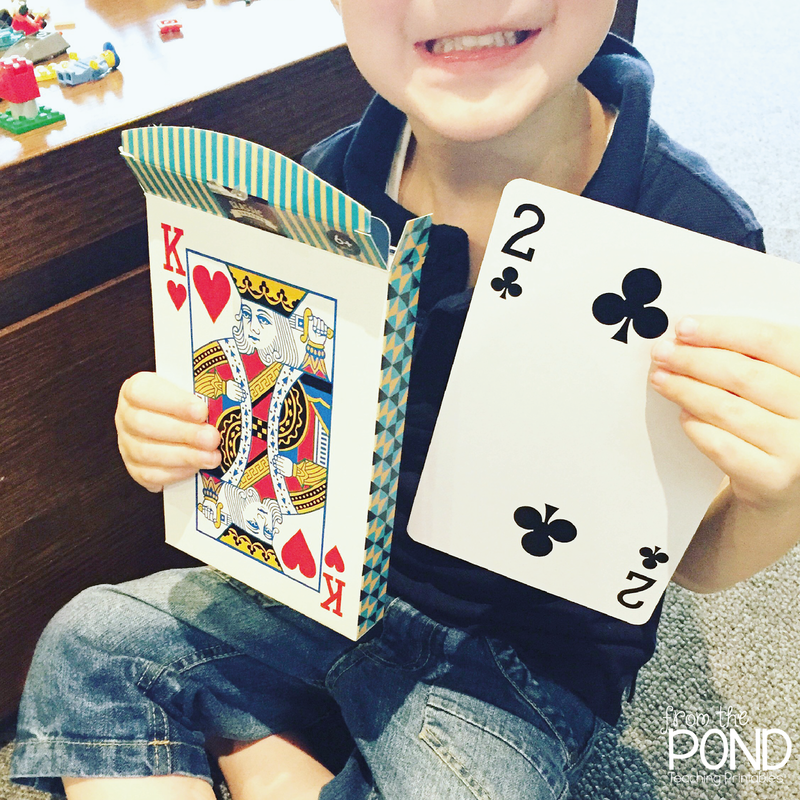 There are so many more ways to use playing cards for numeracy. The best thing is that are prepped and ready to go. Teach you children that the ace is used for one and remove the face cards. I hope you are having a fabulous week, thanks so much for stopping by! 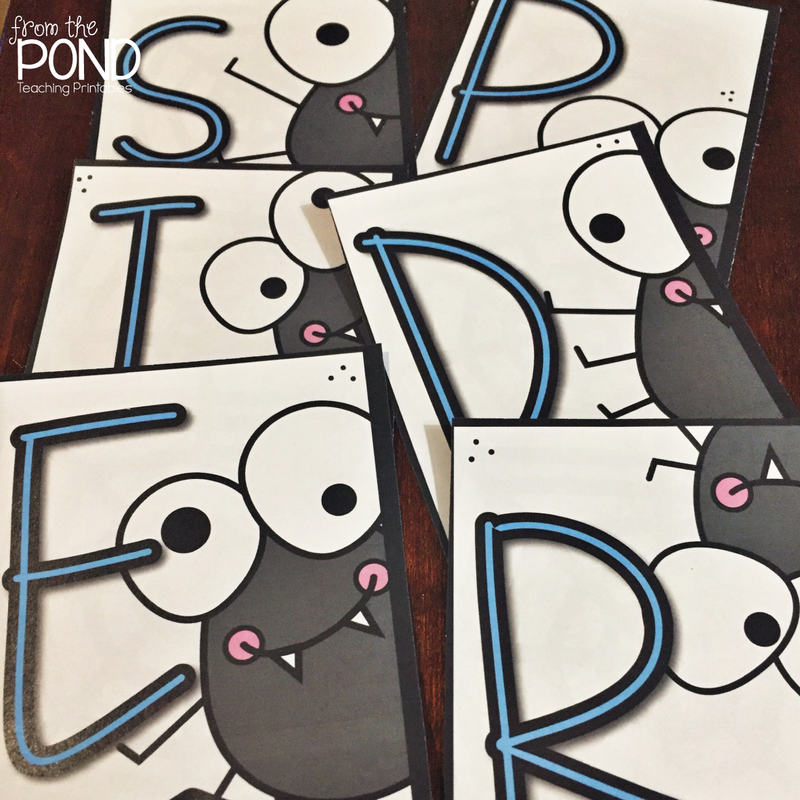 Print the color or backline pennants to make a 'Spiders' theme header for your bulletin board, wall, window or string-line display! 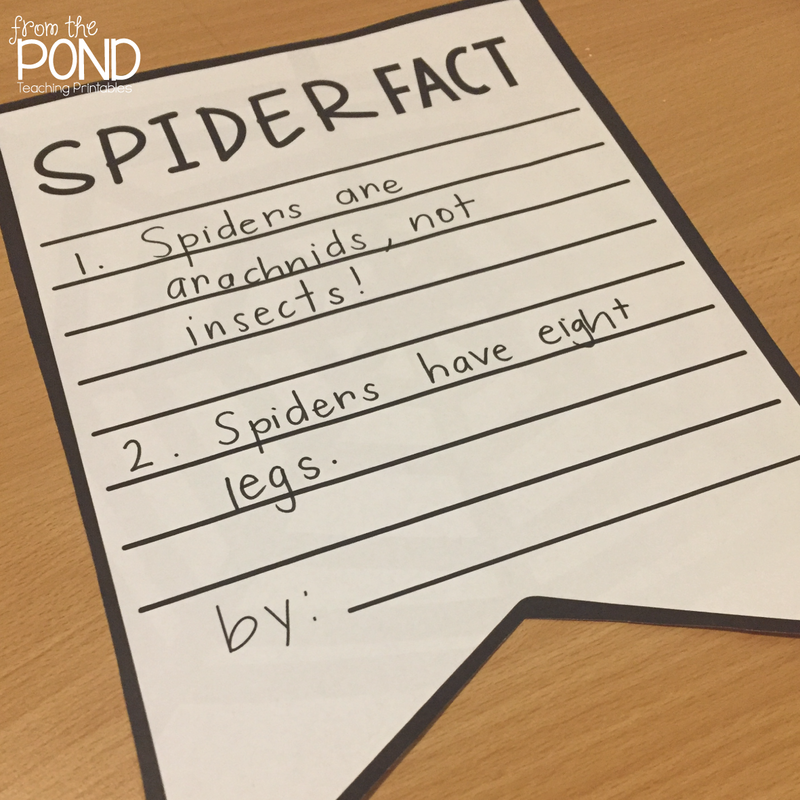 You can also ask students to research a spider fact and make their own banner to add to the display. Thank you so much for stopping by - have a wonderful day! 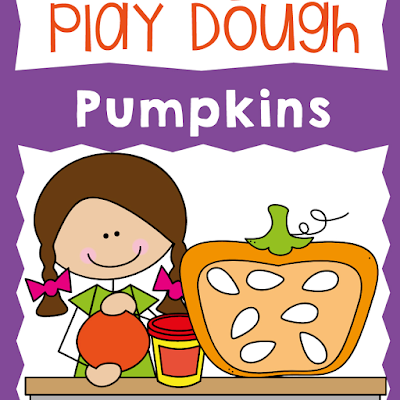 I recently updated my pumpkin play dough mats file and included 10 new mats. 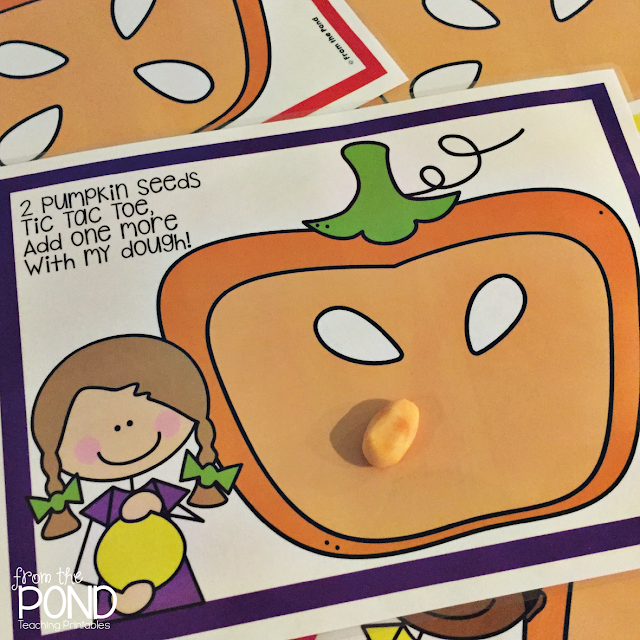 In the first edition, students had to make pumpkin seeds to make 'one more' to each pumpkin. 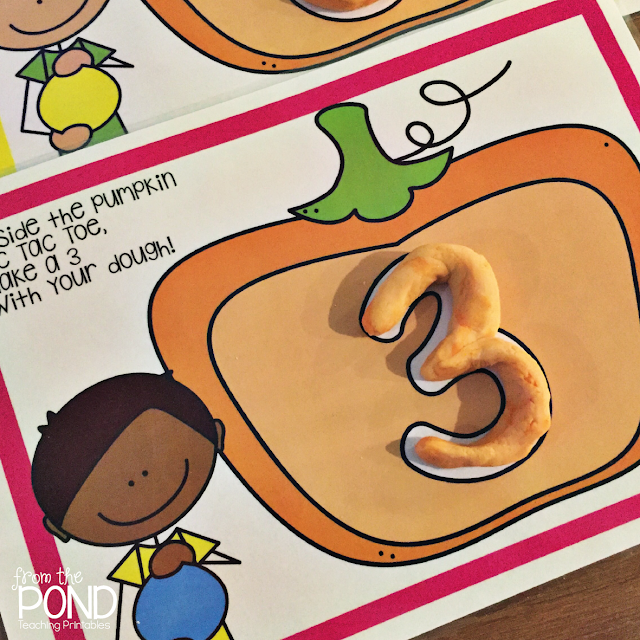 The printable file now includes some numeral boards so that students can practice making numbers. The new boards also feature a fun rhyme for students to say as they are working - when students can vocalize their learning I have found that they have more engaged experiences and more lasting memories of their learning! 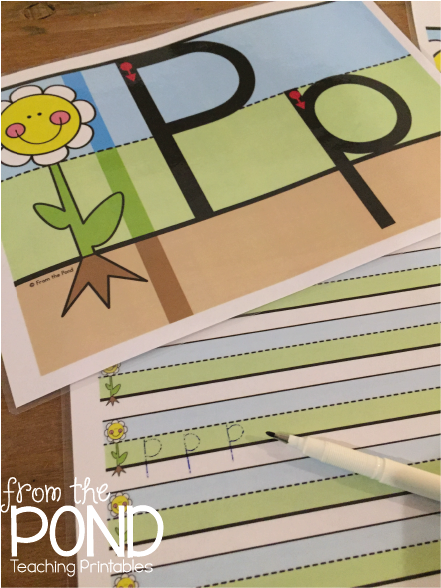 If you have a license to this file already, enjoy the new pages by simply downloading from your TpT dashboard. 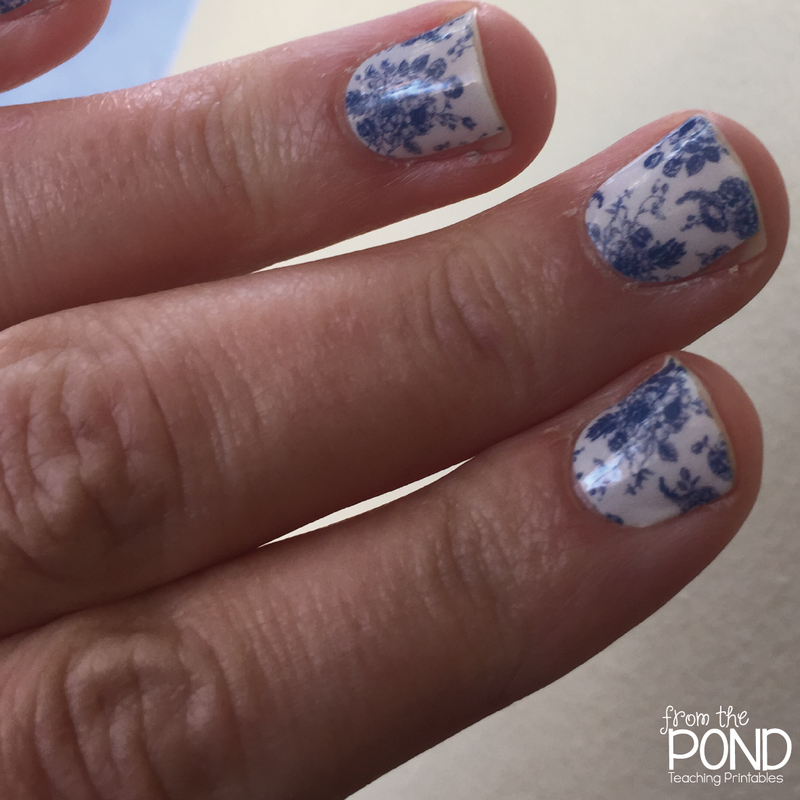 If you would like a license to use them, head over to TpT to find them. 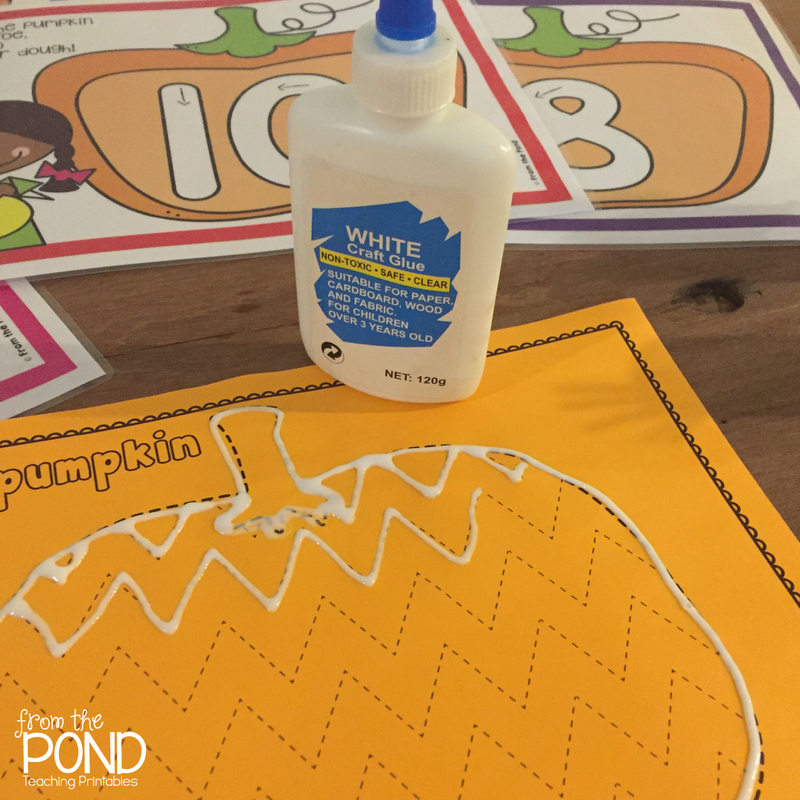 Another fun fine motor activity is 'big shape tracing' - perfect for getting your kiddos ready for writing, or helping them to become more controlled writers. 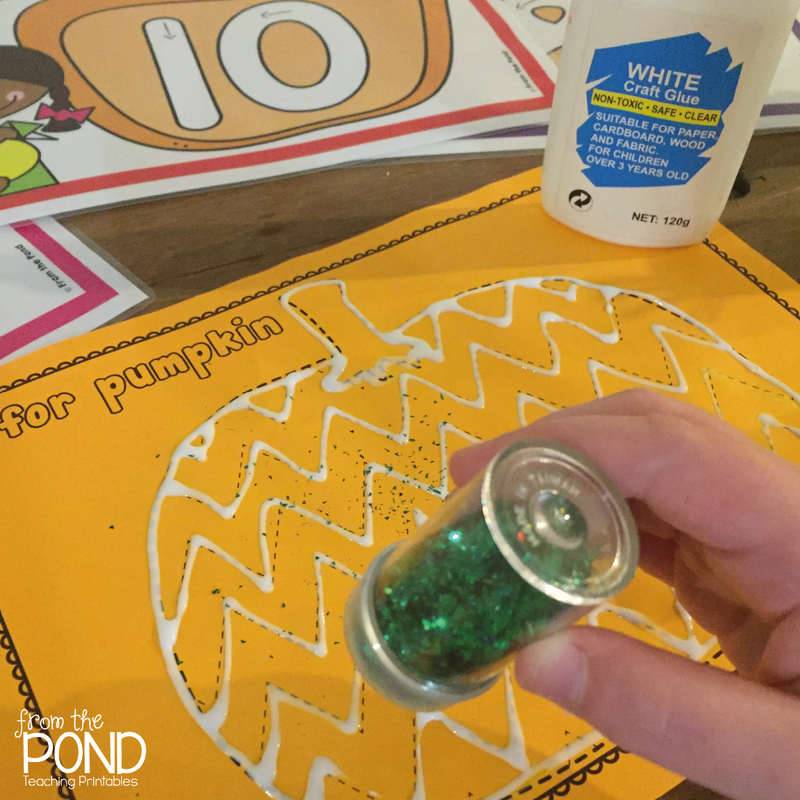 Little learners will love just tracing these projects with a crayon - your older or more experienced learned may like to get the craft glue out and create a sparkly pumpkin with glitter! Ten Frame Addition - Monster Style! 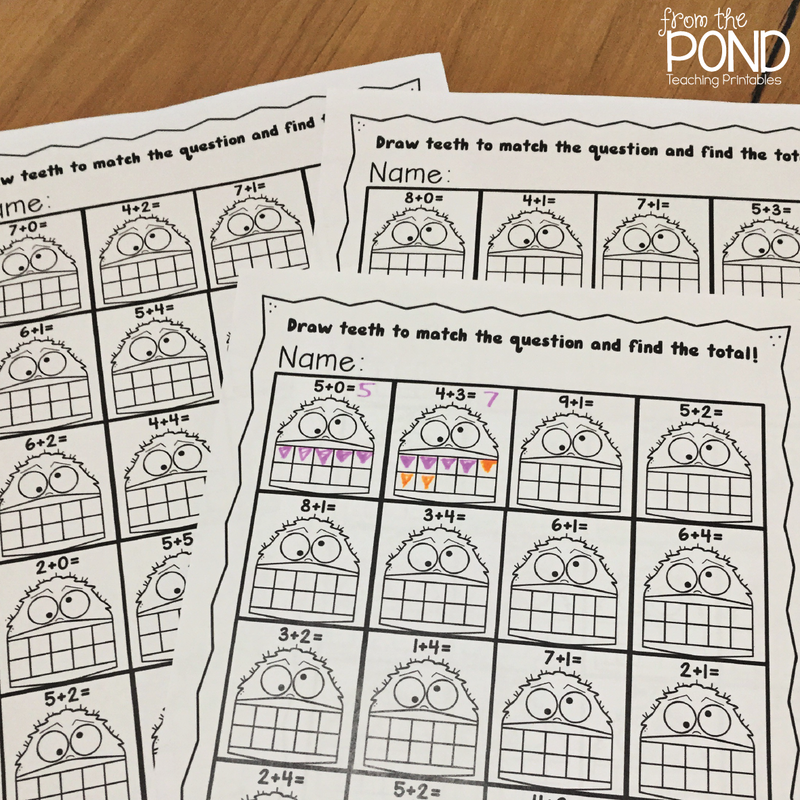 Ten Frames will support students in multiple content areas of mathematics. In addition they can help move students from an emergent understanding of joining two groups to a more structured and coordinated process. 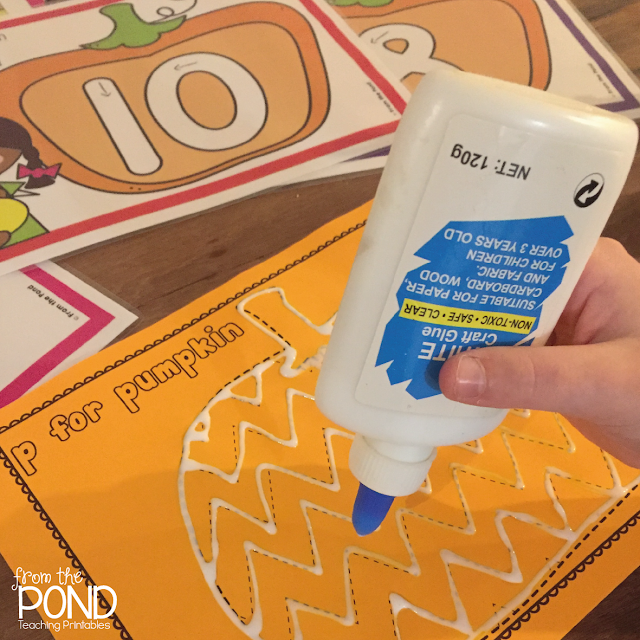 This will help them learn to better explain addition and also make them open to naturally learning strategies like the 'turnaround' strategy and bridging. 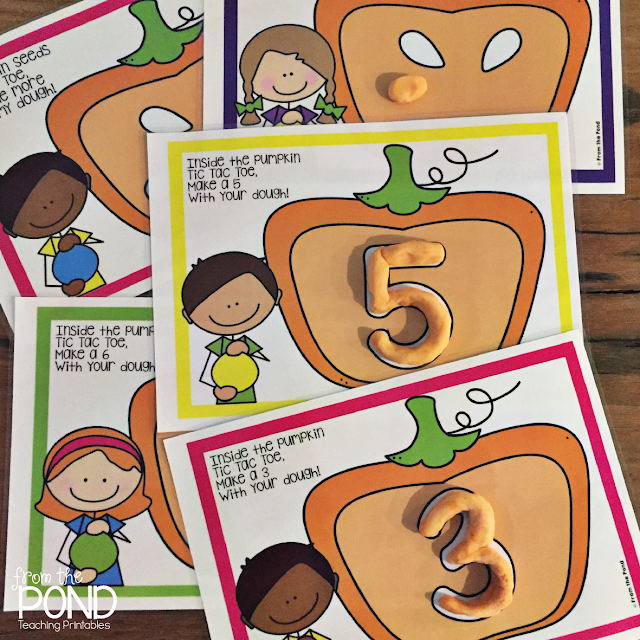 Playing games with ten frames makes math so much more fun! 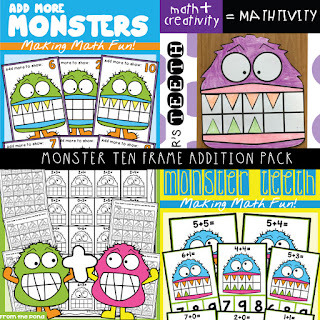 My monster themed ten frame addition packet includes 4 activities to help you introduce and/or reinforce addition within ten. 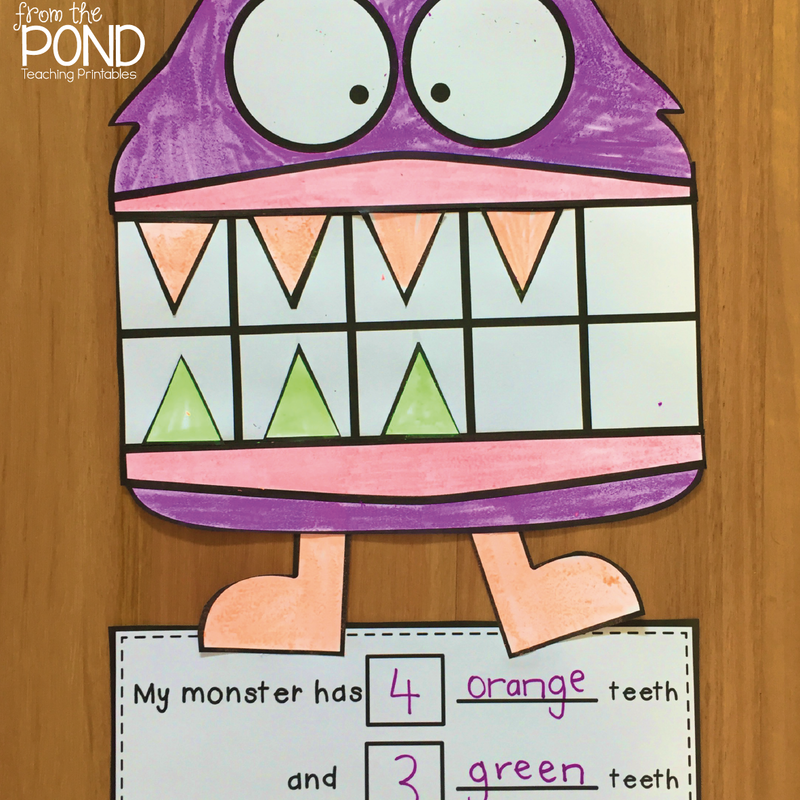 Monster Teeth will require students to pin the answer to a problem that they can read as an algorithm and also visualize using the ten frame monster. 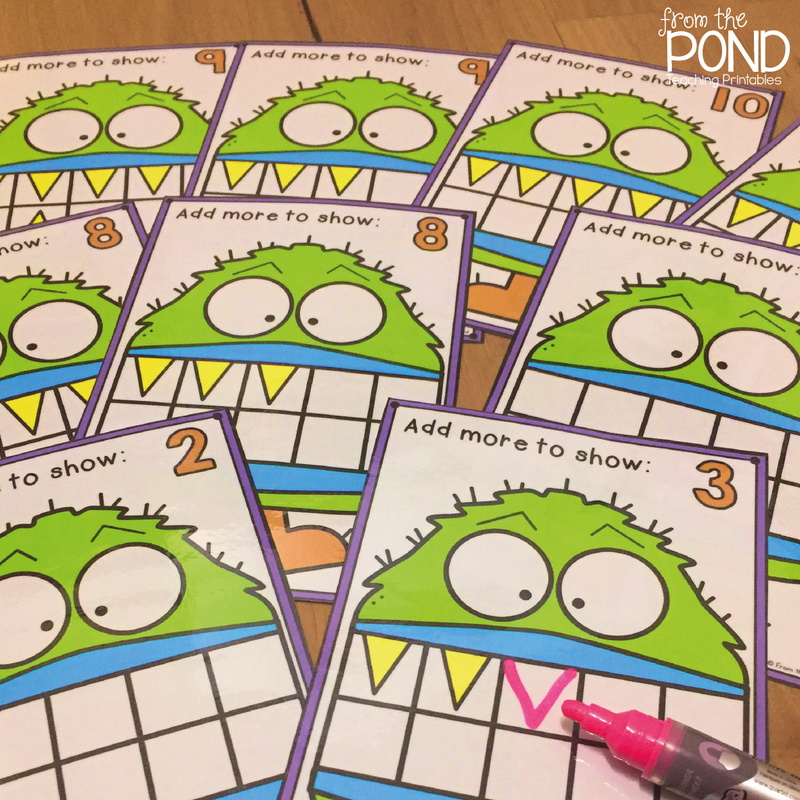 Add More Monster will require students to draw more teeth to complete the card and find the total. 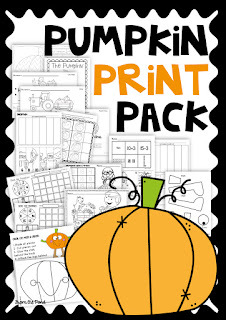 The worksheet packet includes 10 worksheets that will help your students draw and solve addition on a ten frame. Loads of practice will give them time to process the strategies. 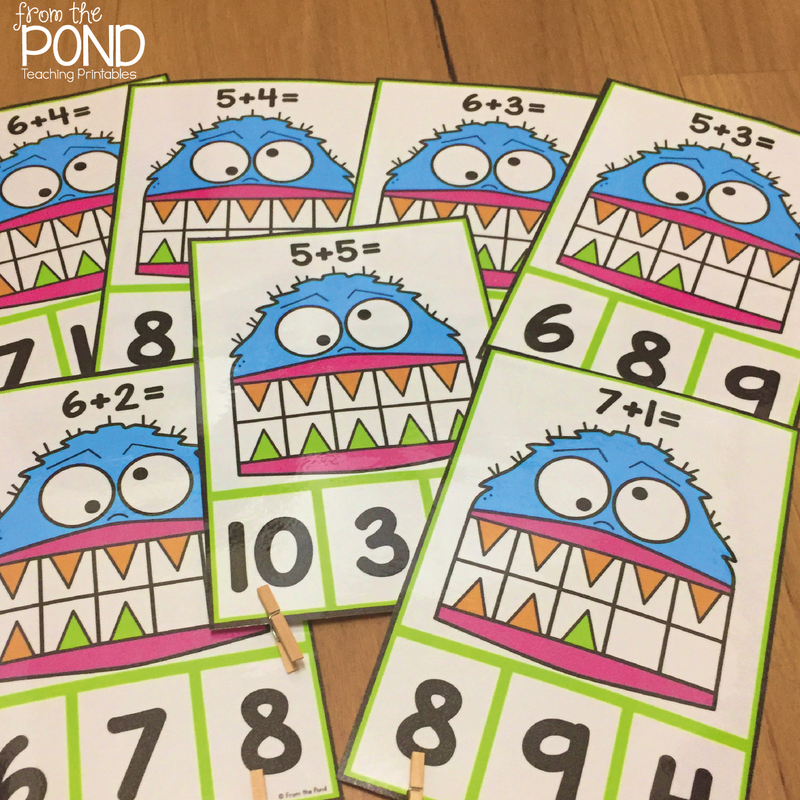 My Monster's Teeth Mathtivity will allow your creative learners to create and display their understanding of addition on the ten frame. 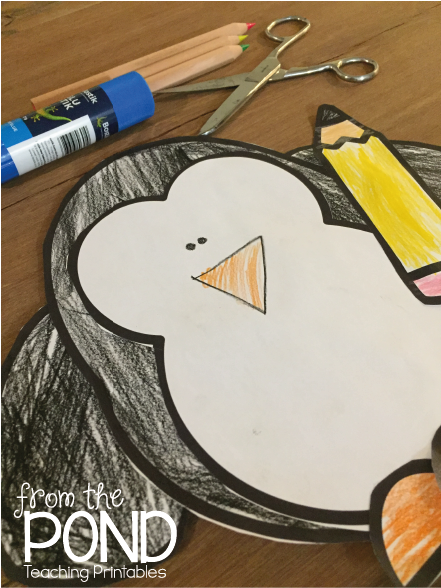 They make the classroom so happy and engaging too! Win-win! Head over to TpT to find my new bundle. It's on sale today. As always, thanks so much for stopping by, I hope you are having a wonderful weekend! 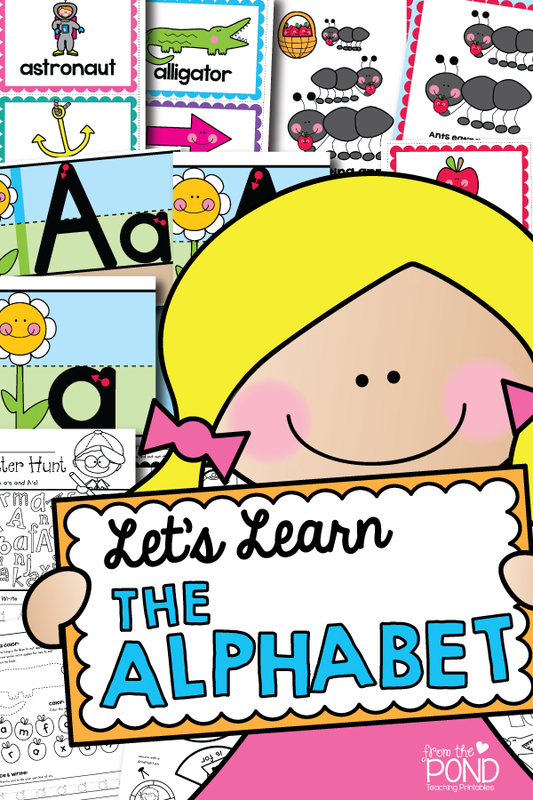 Teaching the letter sounds of the alphabet just got a whole lot easier with our fun printable packs! 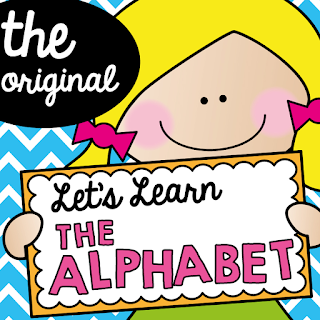 All 26 packets in my 'Let's Learn the Alphabet' series have been completely revised. The 'Pp' packet remains as a FREE listing! 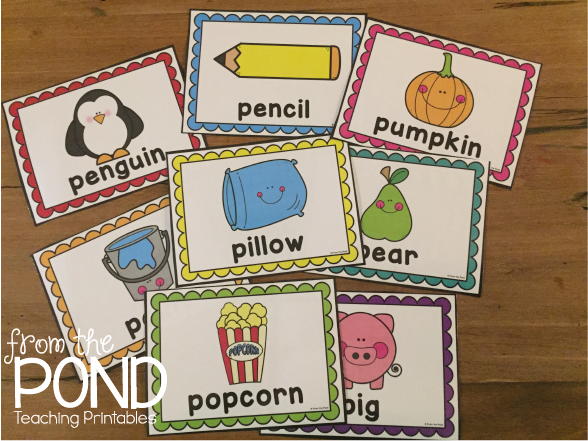 Each packet has a set of vocabulary cards so you can introduce the new sound for the week and talk to your students about how it sounds in a word, how to articulate the sound and make a focus wall of focus words. Get your students to draw more on sticky notes and add them to the display. A little focus song can be introduced, with the song cards. Sing to the tune of 'Farmer in the Dell' and your students will be singing along all week! 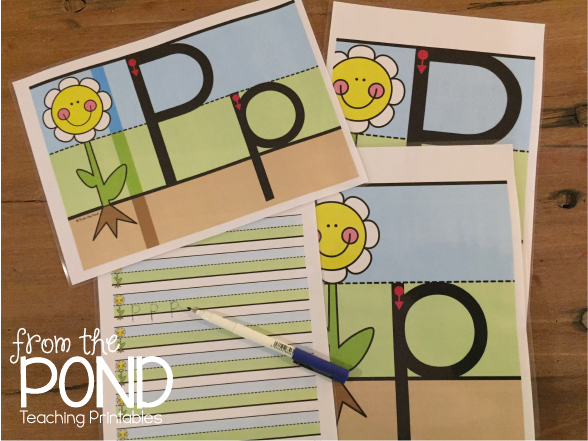 The handwriting cards show the placement, size and shape of the focus letter in a sky/stem/dirt arrangement. This will help them understand proportion and the difference with upper and lower case. They can practice with a dry erase marker on a laminated lined paper board. 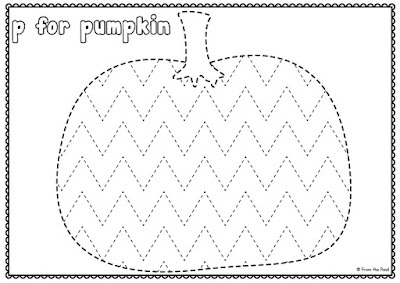 There are a variety of cut/paste/write/trace worksheets that can be done at school or as assessment or homework. 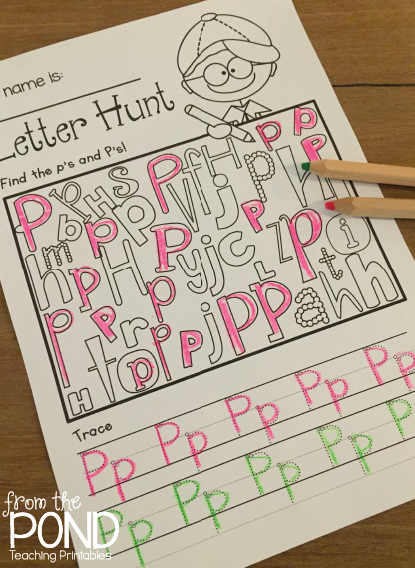 The 'Letter Hunt' activity is always a winner! 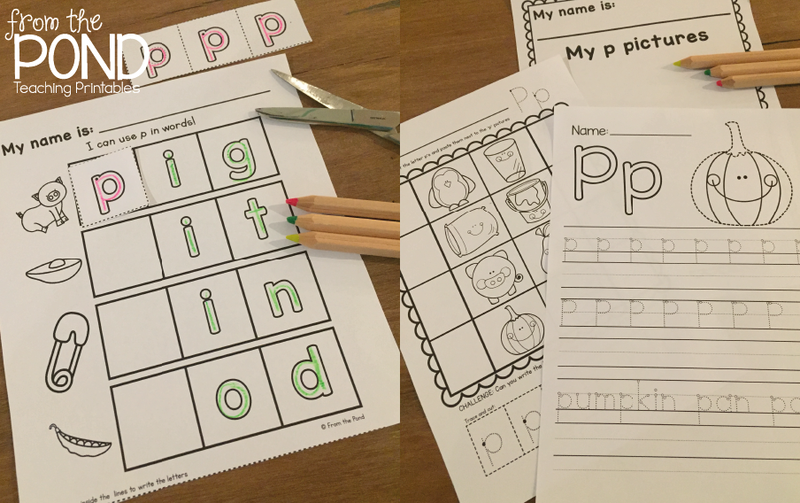 Teach early reading skills with the little paper cut and paste mini books. Students need to match a picture with a word to complete each sentence. 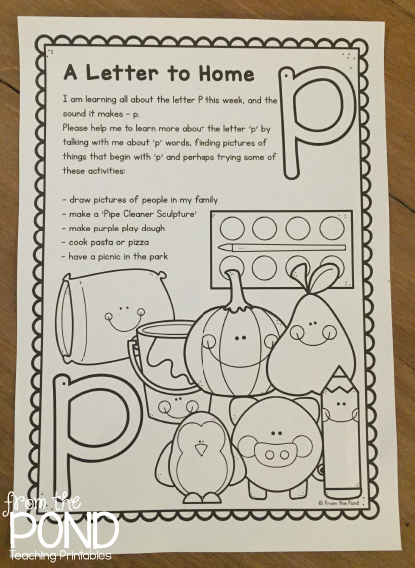 The 'Letter Home' 'un-homework' style page can be sent home to help communicate with parents about your learning in class and give them some ideas for activities to do at home. 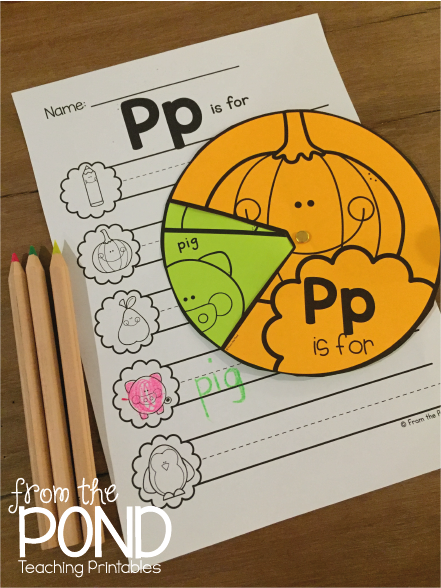 Spin and Write alphabet wheels will make an engaging learning center and students can keep the wheel to practice saying their 'p' words! 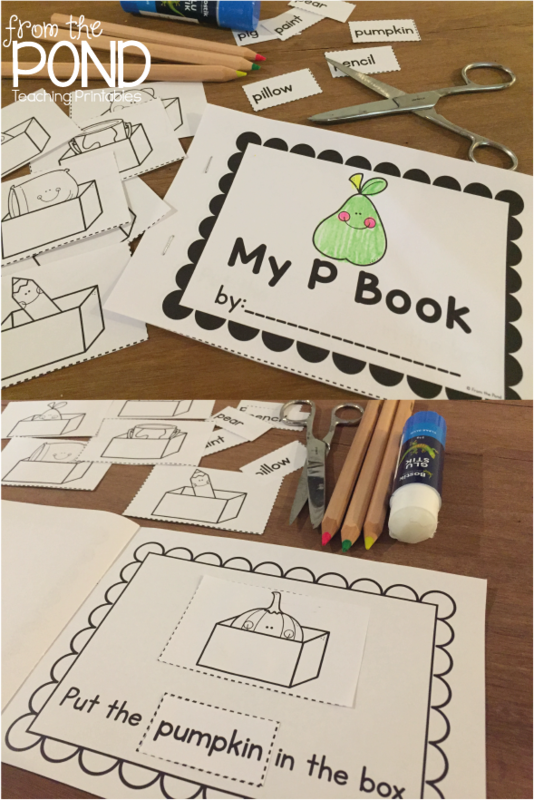 Each packet has a very simple paper craft. Students love being able to cut and create for themselves and these big fat line pictures will engage them and build confidence. Paper chains are an interactive activity that can help build teamwork and class community. 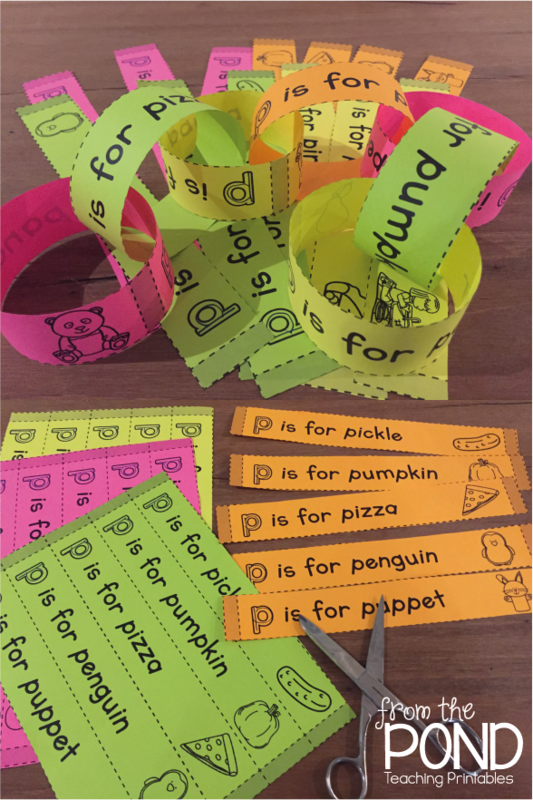 Have your students trace the focus letter, link a few letter strips and then join with their friends to make a giant class paper chain to display for the week! 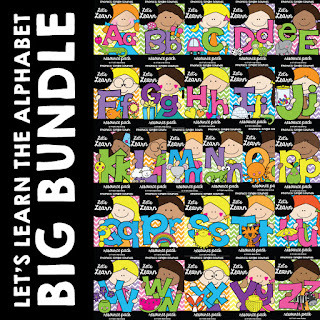 If you have the BIG BUNDLE, be sure to download all the new packets from your 'My Purchases' tab! e.g. 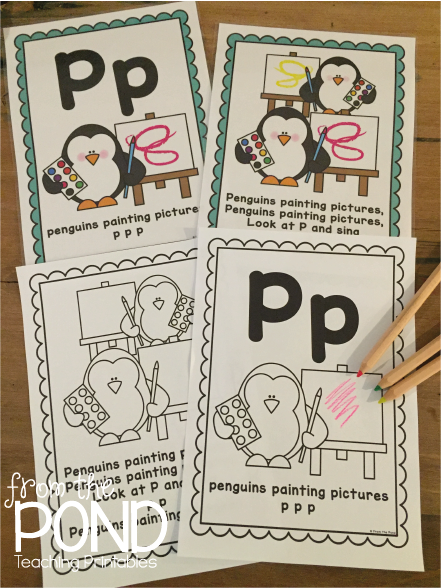 penguins painting pictures for the letter p!